Ignition Electronic, controlled by injection control unit. Dynamic Ignition Advance Control (DIAC) system for electronic control of variable ignition timing. Frame Sloping aluminium twin spar frame, with steel box section at the front acting as oil tank. 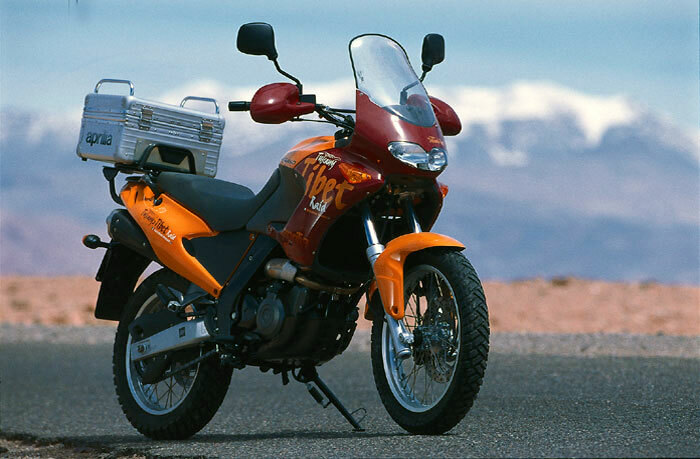 NOTE: On this page you will find ONLY Aprilia Pegaso Tuscany Tibet 2003 motorcycles specifications specifications and details. We don`t sell this product.